Stoptrack is the worldwide leader in IT equipment marking and theft deterrence. All Stoptrack marked equipments are database registered and come with a free lifetime recovery service of every found equipment. Every found equipment will be shipped for free to its owner, anywhere in the word and within 72 hours by fedex. 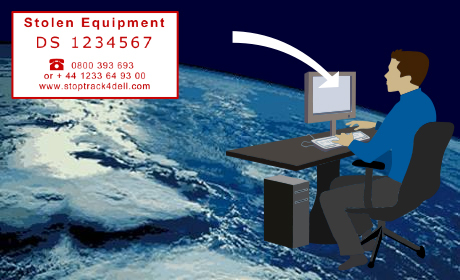 Stoptrack currently protects more than 10 million equipments in the world. Fill this form to declare a lost or stolen equipment in our global IT database. If you have found equipment that has the StopTrack plate or imprint, please note its unique ID number and let us know. Create account and register your equipment.